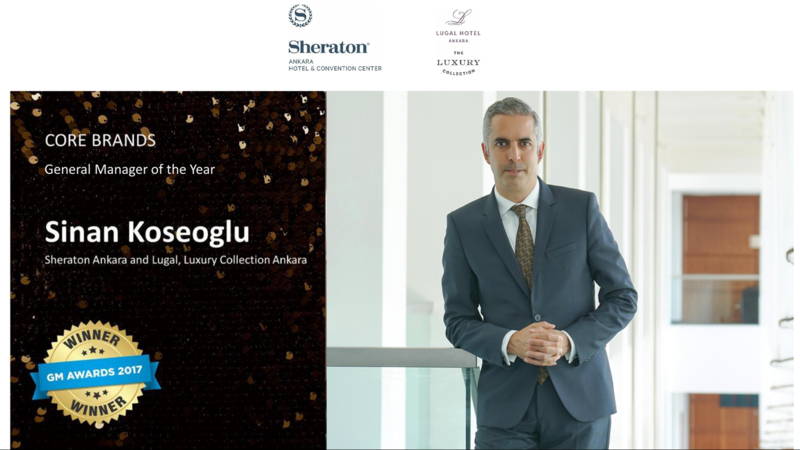 Mr. Sinan Köseoğlu, who is the General Manager of the Sheraton Ankara Hotel & Convention Center and Lugal , A Luxury Collection Hotel Ankara, was awarded “GM of the Year” for the European region by Marriot International. “GM Awards’ are distributed in 14 categories every year. the most prestigious “GM of the Year” award is based on both manegerial and financial results.